marriage | In the Key of "H"
I often hear the term “unconditional love” used to describe relationships with loved ones. You hear it at weddings. Yep, because we all know marriages in America equal unconditional love…. It is certainly a comforting thought isn’t it: to rest in the fact that your loved one will love you no matter what you do? Or that you will love your loved one, no matter what they do to you. Makes you feel good about yourself. But just as the Spaniard from The Princess Bride said to the man who use overused the word inconceivable again and again, “I don’t think that word means what you think it means,” so do we with “unconditional.” Again it sounds nice, and it gives that warm fuzzy feeling that we all like, but is full unconditional love exactly what we share with our loved ones: our kids, our spouses, parents, our closes friends, pals and confidants (hopefully you got the “Golden Girls” allusion)? I don’t think it is. And I’ll explain why I think that term used to describe our earthly relationships is inaccurate at best and takes Christ out of the equation at worst. Think about what the word “unconditional” really means when it is used to describe “love.” Do you really think that your love for someone else or their love for you has no conditions? Maybe I watch too many Dateline and 48 Hours Mystery murder specials where the spouse is ALWAYS guilty. But without getting too morbid, do you really think your loved one’s would love you back if you regularly sought bodily harm to come to them? If you ordered a “hit” on them? If you abused them or neglected them? I can think of several conditions that would stop me from loving, at least, in the same way. 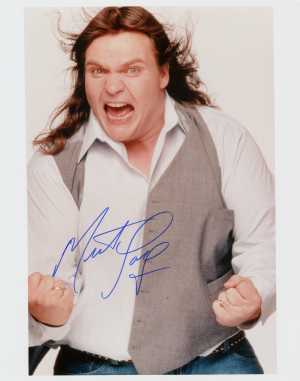 Is Meat Loaf the only one who in essence says, “I would do anything for love, but I won’t do that?” Conditions…. At some point the person, because he/she has met terrible conditions, may move from the brother/neighbor/spouse category to the enemy category. Love would still be commanded, but it would look incredibly different. Jesus only really gives one in Matthew 19: sexual infidelity. Paul gives one in I Corinthians 7:15 commonly referred to as “desertion of unbelieving spouse.” Some folks, myself included, put abuse in that category. Sometimes parties can work through these issues, and if both can, and are willing to, it’s beautiful. But the fact Jesus gives FEW conditions, should alert us to recognize that our love (given/received) isn’t expected to be unconditional in the strictest sense of the world. There are conditions on how we temporally love. These are not conditions Jesus gives us. These spring not from scripture but from an honest recognition of our own sinful nature. I don’t unconditionally love my wife everyday. I really don’t think I do. You may think you have the best spouse, but I would disagree strongly. I do. But to say I love the best spouse every day without conditions is incredibly arrogant. I think your everyday love for your spouse or kids has temporary conditions. How well you love is sometimes due to these conditions. If your wife has been nagging or running up credit card debt, or kid has broken out all windows of house, or husband has watched football all day, won’t help around house, told you that you looked ugly, you will struggle at that moment to love them. Let’s be honest, you might take a “love break” and yell. But let’s be honest, you didn’t love well and it was because of a condition. Sometimes those conditions will cause a righteous anger at first (meaning you should be angry), but more often than not what that anger does is suspend your love for them temporally, or indefinitely. It is not just these big deal breakers that condition our love, it is the tone of our voice, the quality of the meal, the season of life, the honey-do list, the false expectations, etc…Conditions. I prefer a more biblical, accurate, honest term that points me upward instead of inward: Covenantal. Covenantal love binds one to the other. This kind of love involves the person saying I’m committed to you whether I feel like it or not (and sometimes I won’t feel like it-it’s real and honest). I choose to love. I may not love you today, or do a very bad job of showing it today, but I’m going to repent and ask the Lord to give me love for you. Tim Keller differentiates covenantal love from consumerism which is most prevalent in marriages and other relationships today. When I fall out of love (what a crock, it just means that the other person has stopped meeting your emotional needs-you’ve been using them! ), I’m out of here. Covenantal love is committed without being perfectionistic. I’m regularly called to love my kids, spouse, parents, those in my congregation. But it is the height of arrogance to say that this is something I do naturally. It is arrogant of me to say, “I love you unconditionally, no matter what, do whatever you want to do to me.” Instead I recognize my covenantal obligations, opportunities and privileges to love. I go back to passages which tell me what love looks like to wife, kids, congregation (Sacrificial-Eph 5:25, not provoking anger-Eph 6:4, and sober-minded II-Tim 4:5). I’m a needy man. I need much help. If you claim to love unconditionally, you probably don’t think you need much help in this area. That’s a pretty big area to not need help since Jesus sums up the Law by saying Love God and Love Others. I don’t look inward for my commitment but upward (Psalm 121). Don’t pretend that you show the same kind of love to your loved ones that God shows to you. No comparison. In Genesis 15 God makes a covenant (literally to “cut” a covenant) with Abraham but he does not require him to walk through the pieces of the sacrificed animals. Those animals cut in pieces symbolized what would happen if either party broke their covenant obligations. Abraham should have passed through it, but God realized that he wouldn’t uphold his end of the bargain. He didn’t want to have the FULL curses of the covenant to come upon Abraham or his descendents. Except one. Jesus, the descendent of Abraham, takes upon himself the curses of the covenant on behalf of those who by faith look to Him and are then included in this covenant. Jesus therefore pays the “conditions” for us. The failed conditions. Jesus’ love for us is unconditional because he exhausted the punishment for all conditions. I don’t see how we have a right to describe our love in the same terms as his love for us. Jesus gives us the indicative/imperative model: we love because he first loved us. Our love is imperfectly modeled and motivated by the perfect model of Christ. Let’s not pretend that we’re really good at this. But if you want to get better, here’s how. The less you look at your performance or lack thereof, and the more you see the Unconditional Love Incarnate, you’ll find conditions limiting and tempering your prove less and less effective.